Sarcasm, just one of the services I offer. What is the hardest part of creating seamless textures? Yes, making sure they look natural when they repeat. The usual problem is that no matter how hard you try, the seam is usually clearly visible. I thought that it may make it easier if you work on the edges first (in the middle of the canvas), then move them to the edges of the physical canvas. I know this probably sounds strange, but just take a look at the instructions section below for a better explanation. Just drop this file in your \program files\Paint.NET\effects directory and you should be all set. 1) Create a canvas that is an even width and even height. For example, 200 x 200. It is critical that you do not use odd dimensions. 2) Start creating your texture by focusing on the middle of the canvas. Do not place anything too close to the edges at this point. Notice that I am only concerned about covering the area marked in red. Do not include red lines, they are only here to illustrate the area that I'm trying to cover. 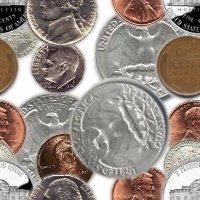 By the way, I found all the images of these coins by using Google Image Search. I made this composite image by using several layers and liberal use of the Feather plugin. 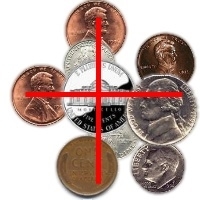 3) Flatten your image down to a single layer. 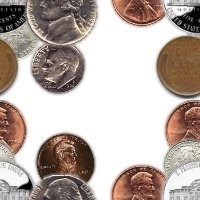 Notice how the coins have been moved to the edges. Your texture is now seamless. and rearranges those parts as show above. 5) Save the file in your favorite format (GIF, JPG, or PNG). That's it! You have created a seamless texture! You can quickly test these by putting it on your desktop and chose the "tile" option.